Yes, it's in your head, but not the way you think. When I first heard a friend use the word “hangry” several years ago with a group of friends, I marveled at its accuracy. The portmanteau, a combination of “hungry” and “angry,” perfectly described the present disposition of our buddy Ryan, who was storming ahead of the group, desperately searching for a late night place to eat. We’d just gotten out of a long movie, and Ryan hadn’t eaten since lunch 10 hours ago — a fact he kept repeating to us. He was irritable, impatient and annoyed by our leisurely pace. Since then I use the word “hangry” all the time (I experience hanger a fair share, myself, to be honest) but I’ve long questioned its scientific authenticity. Is “hanger” a valid phenomenon? Can the physical presence of hunger actually affect our brains and thus our mood, perceptions and reactions? We consulted experts to unpack the fascinating science behind hanger, which is indeed, a real thing. 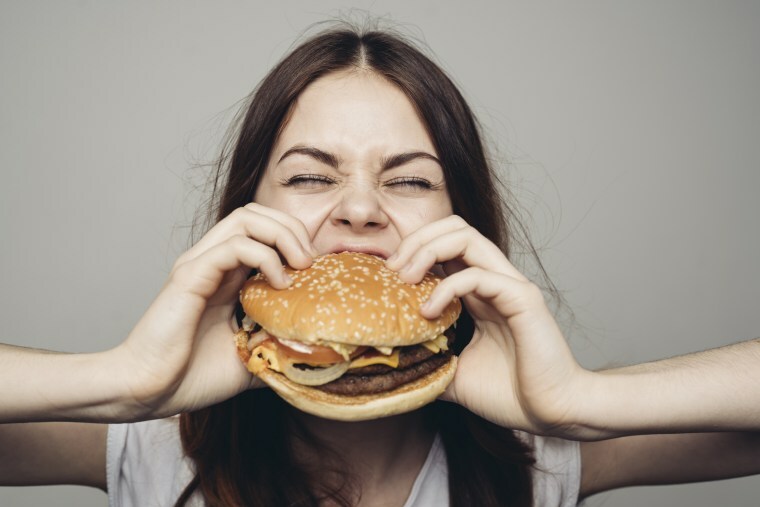 “While it does seem like a silly colloquial term, ‘hanger’ has come about to describe this experience we’ve all had,” says Dr. Kristin Lindquist, assistant professor in the department of psychology and neuroscience at the University of North Carolina, Chapel Hill and co-author of the recent study “Feeling Hangry? When Hunger Is Conceptualized As Emotion”. “[My colleagues and I] are interested in this phenomenon because we study emotions and what the more basic processes are in the brain that contribute to emotions. There does seem to be a physiological and corresponding psychological shift when we’re hungry,” she tells NBC News BETTER. Why does this happen? In part it comes down to interference with the body’s homeostasis, or the body's sense of equilibrium, that hunger creates. Hunger as a state actually causes a lot of shifts in hormones, brain processes and the peripheral nervous system that are comparable to what we see in anger, fear and sadness. So, when you’re hangry, you’re not just more prone to snap at somebody because you’re hungry on a physical level, you’re actually hungry on a cerebral level, and the deprivation is causing your reactive filters to blur if not shut down completely. What should you eat when you're hangry? All experts consulted for this article agree that the best way to treat hanger is, quite obviously, to eat something — but be selective if possible. Quick tip: Nuts are a high in ATP food that can easily be found in vending machines. If you’re working a long shift or in any other situation where grabbing a snack just isn’t possible, but you feel the hanger setting in, try to bring awareness to your emotions. So, in a real life situation, what you may want to do when you feel your hanger flare up is ask yourself if you’re hungry (you may not actually know), and if the answer is yes, consider your state of irritability as a possible result of this need for nourishment. Some, like Santini herself, feel the negative mood effect of hunger before they feel the physical sensation of hunger.